We’ve said it before but we’ll say it again. 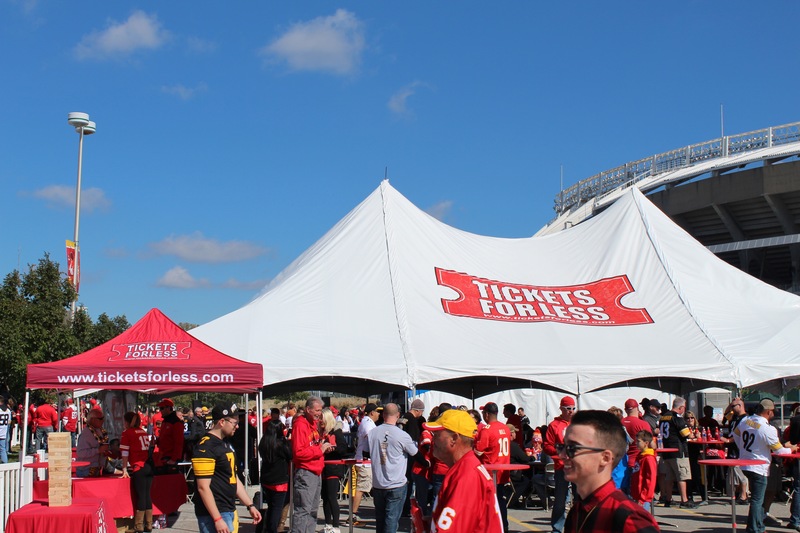 Do Chiefs game days right with our Tickets For Less Chiefs tailgating party tent. You can’t go wrong with all you can eat BBQ, all you can drink beer and soft drinks and loads of games to last you until kick off. 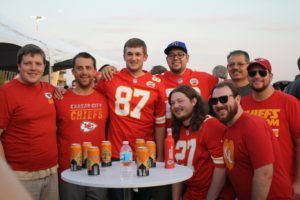 With the release of the Chiefs schedule for the 2018 season, start planning your trip out to join in the Chiefs tailgating party yourself and party like a VIP at Arrowhead. 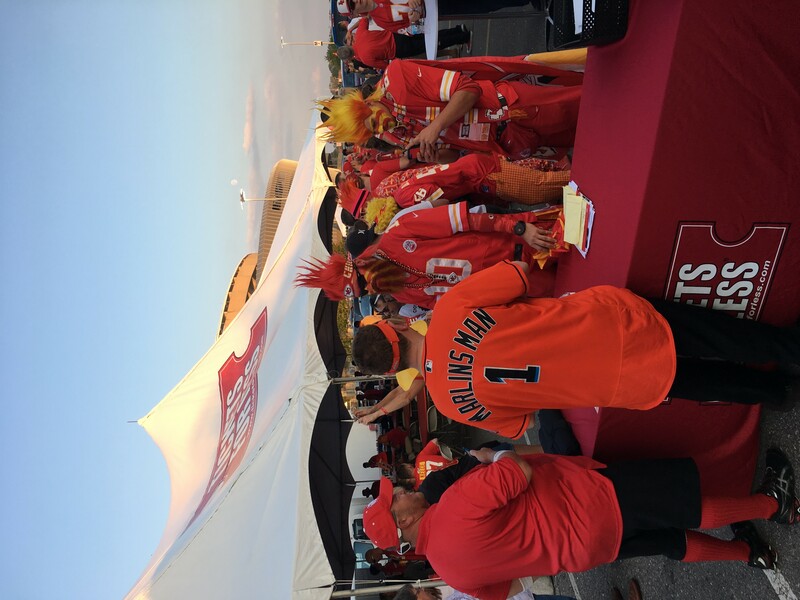 Located in Lot M, the VIP tailgate is in the perfect spot. 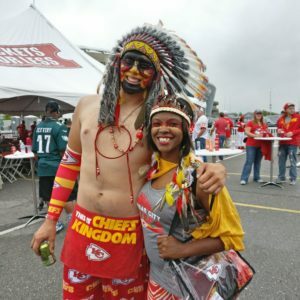 It’s right in between Arrowhead and Kauffman. 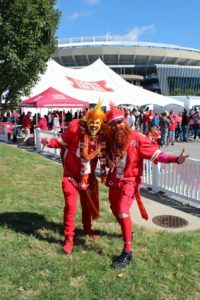 You can walk less than 100 steps and you’re at the entrance of the Hy-Vee gate to go into Arrowhead! Even if you had to park far away, head to our tailgate, put your feet up and relax until game time. We have bathrooms, seats, tables and more! 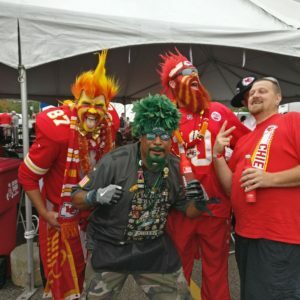 It’s a VIP Chiefs tailgating party you don’t want to miss. 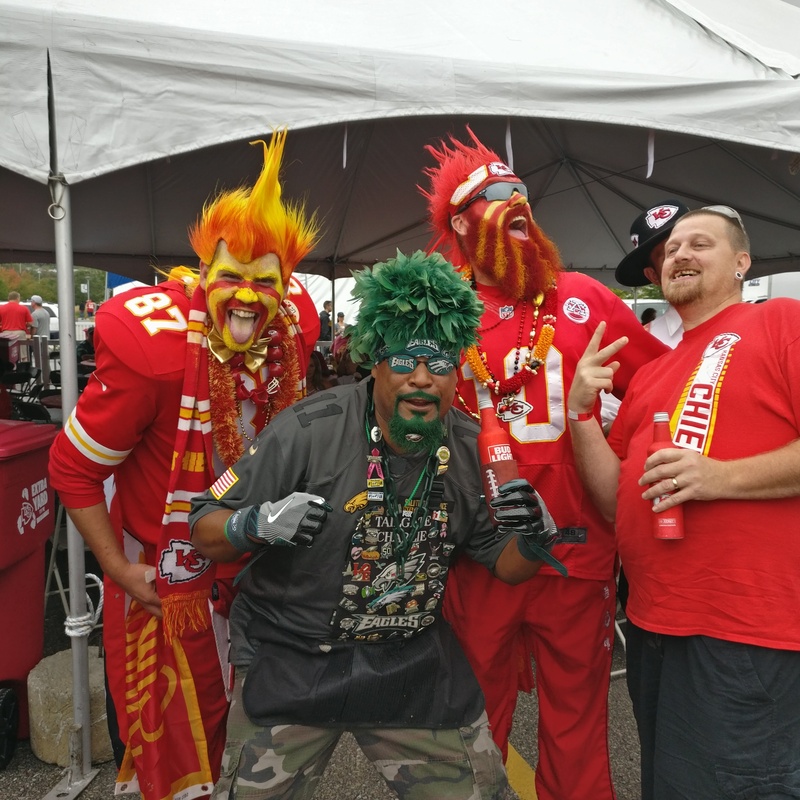 At every TFL VIP tent tailgate, the Super Fans of KC make a trip over to say hi! It’s great for photo ops, fun with chanting for the Chiefs and an all around great time. Not only are the greatest fans of the Chiefs present, our tailgate invites fans of all teams and sometimes we have the great super fans of away teams. 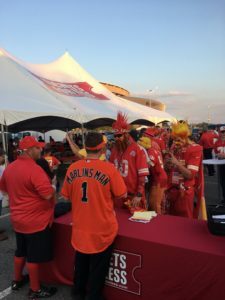 Occasionally, we have the great fans of all sports like the Marlins Man who has been notarized on national television and regarded as one of the most prominent fans in all of sports. 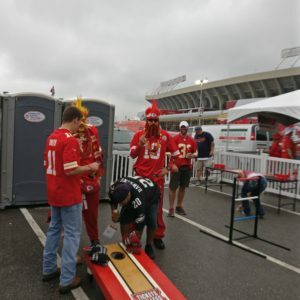 Revamping our tent this year, our tailgate tent has a multitude of games. 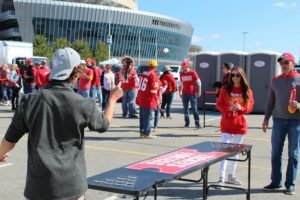 Walk into our tailgate and find games from pong to washers. Waiting for a turn to play those two popular games? No problem. 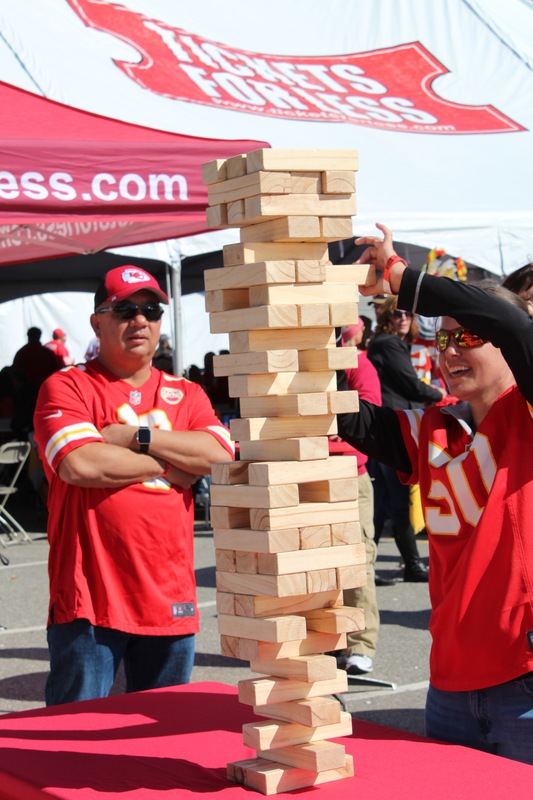 You’ll also find giant jenga, ladder ball, corn hole and more! 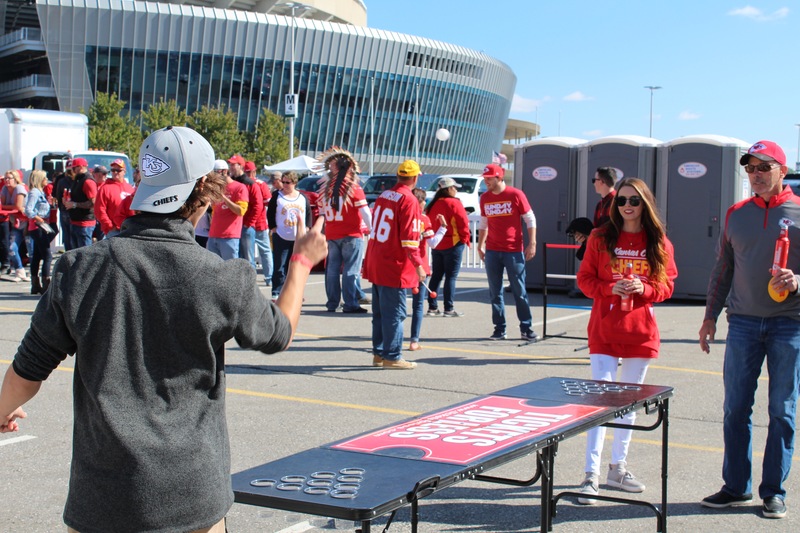 We also have freebies ranging from free koozies, and foam fingers to mini footballs! 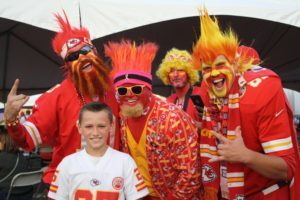 Bring your kids and bring your 45th birthday party and everyone is sure to find something they like and can all enjoy! 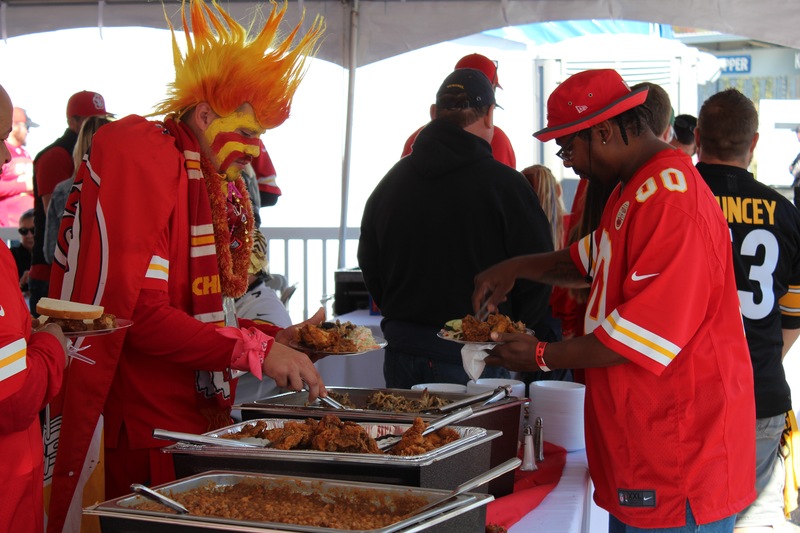 With all the walking and taking part in the tailgating games, you’re bound to work up an appetite. 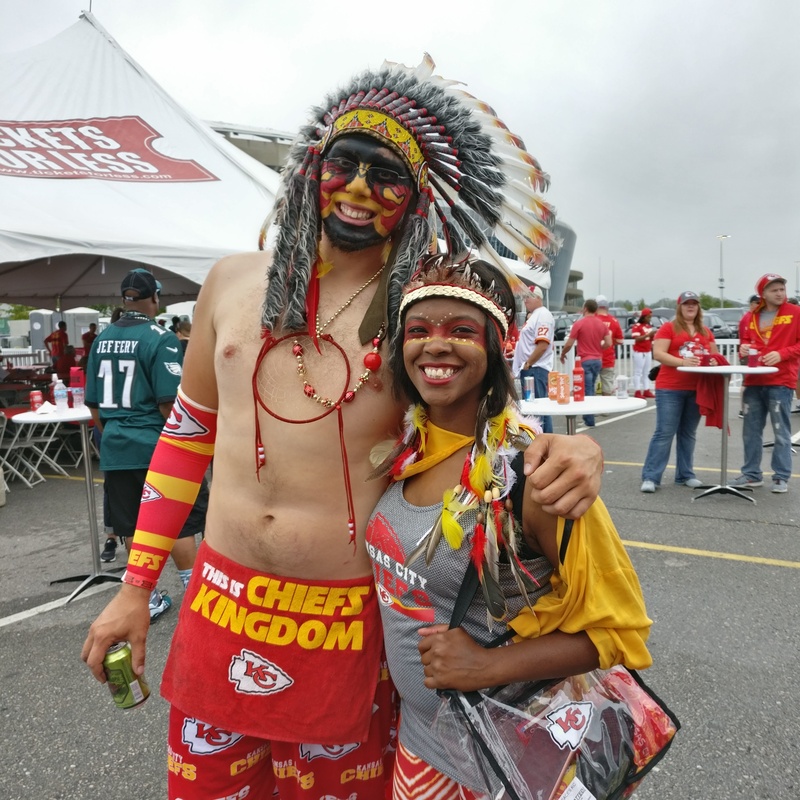 At our TFL Chiefs tailgating party we have all you need to satisfy your belly. Brancato’s catering has it covered. 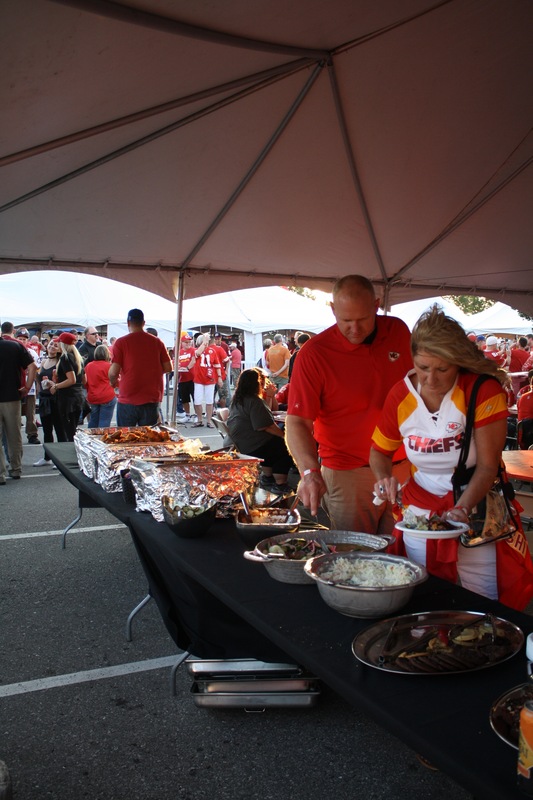 Our tailgates range from game to game but can always promise to fill you up. Our food ranges from fried chicken wings and legs, to pulled pork sandwiches or coleslaw or salad mixes. 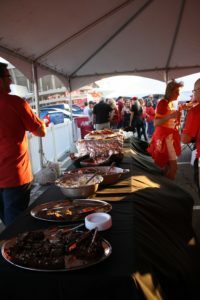 To top off all the delicious BBQ, there’s a wide variety of beer or soft drinks and always ice cold water. Never go hungry or thirsty inside the tent because it’s all-you-can-eat and all-you-can-drink!